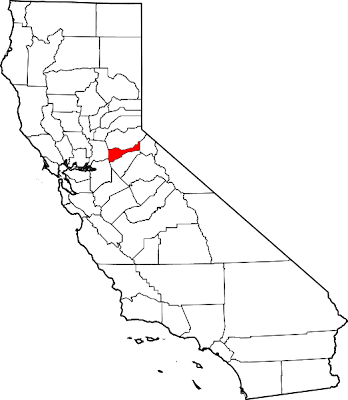 The Jackson/Plymouth District lies at the northern end of the California Motherlode Region's "Southern Mines." Primarily oriented along a 20-mile long belt of gold mineralization along the western portions of Amador County, the District has produced many millions of dollars' worth of lode and placer gold since its discovery in 1849 during the California Gold Rush. Like all of the Motherlode's gold districts, miners first worked the streams and dry washes of the Jackson/Plymouth District using pans, rockers, sluice boxes, "long toms," and yes, even crude drywashers to recover staggering amounts of placer gold that had eroded out over millenia from the many auriferous lodes, veins, and stringers in the area. Many Gold Rush "boom" towns sprang up during the first few years of activity in the District. These included Jackson, Sutter Creek (named after John Sutter, the accidental discoverer of gold at Coloma), Plymouth, Drytown (where some of the richest placers in the District were located), and Amador City. In nearly all of these locations miners could resupply, get drunk, "buck the tiger" at a game of chance, or perhaps seek out other forms of recreation provided by dance hall girls or prostitutes. Violence and mayhem were also on the menu when tempers flared and bottled courage replaced logic and reason. While the placers were still being exhausted, some enterprising miners and prospectors began searching for the source of all this gold. They soon found lode and vein deposits nearby that were fabulously rich. Most of the gold deposits in the District lie within a north and northwest trending belt of gray to black slate belonging to what geologists call the Mariposa Formation. The Mariposa Fomation also contains coarse and occasionally sheared conglomerates and gold-bearing gravels. Additionally, massive formations of greenstone from the Logtown Ridge Formation can be found just a bit west of the Mariposa Formation auriferous zone. The District also contains many sorts of meta-sedimentary rocks like graphite schist, chert, and amphibolite schist belonging to the Calaveras Formation. Gold in both placer and lode form can be found throughout most of these geologic sequences. Best estimates place the overall gold production of the Jackson/Plymouth District at over $180,000,000 (when a troy ounce ranged from $16-$35). Let me tell you pard, that's one hell of a lot of placer and vein gold. Many small-scale miners still work the District and, like the rest of California, most of the good gold ground has been claimed up or is privately owned. There are a few "pay-as-you-go" mining sites near Jackson, and one of these is a real producer for those in the know. That's it for this round. Best of luck out there. 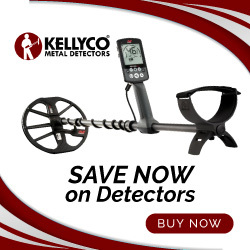 If you liked this post, you may want to read: "7 Suggestions for Finding Workable Gold Ground (Part 9)"